Further, Belzer said their messaging addresses nitty-gritty details that the public might not understand about trucking — like the ELD mandate, hours-of-service laws, and rest-stop parking. 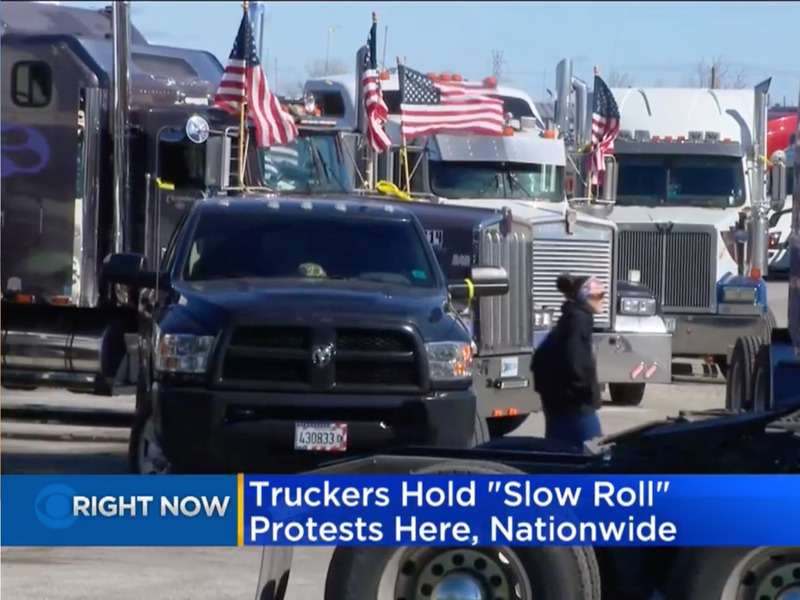 The ELD mandate was one of the driving forces for organizing the strike, as many truckers said the electronic log forces them to speed against the clock. But Robbins said Black Smoke Matters’ tactics and response rate have been promising. With an executive board of 11 nationwide, they’ve put up Black Smoke Matters flyers at truck stops around the country. And the group has encouraged truckers to strike for as little as a day or as long as a week — meaning they might not necessarily lose wages. That could involve blocking the freeways or just spending time at home. “Back when there were Teamsters in long-haul, that was called solidarity — that old-fashioned idea that workers have common interests vis à vis their employer and should stick together in advancing those interests,” Viscelli said. But trucker Facebook groups are already doing like this — it’s just that they don’t feel their voices are being heard. USTA and Black Smoke Matters representatives have met with FMCSA officials at least twice over the past two years. It’s not uncommon for truckers to clock in up to 100 hours a week, Belzer said. They’re not paid for rest breaks. And they’re often forced to spend hours waiting for shipments at warehouses — unpaid.